“The first Stubble Soil Moisture Map created anywhere in North America was for Saskatchewan as of November 1, 1978" (source: Professor Les Henry, 40 Years of Writing for Grainews, Grainews¸ November 9, 2016). Elston Solberg begins thinking about, researching, and talking about how "Water Drives Everything". Research in the early 1990's contributed to the development of his Norwegian Math linking precipitation directly to yield potential. Ryan Hutchison started working with in-field environmental monitoring systems. 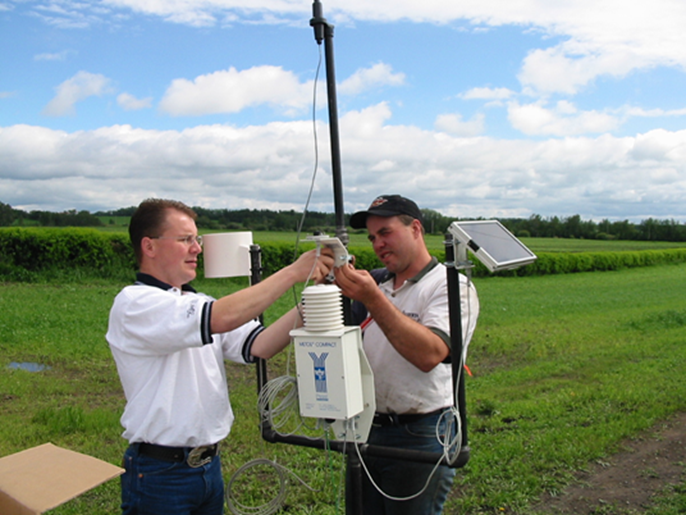 He installed his first weather station in a field of potatoes in southern Alberta in the summer of 1998. But in an era of palm pilots, spotty cell service, and dial up internet - the technology was not quite ready for the masses. 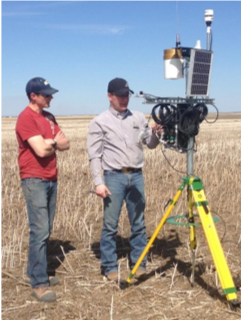 Ryan Hutchison and Kendall Gee install their first Field Connect weather stations in a handful of canola fields across southern Saskatchewan. These were some of the first capacitance soil sensors to be used in dryland farming in Western Canada. The "ah hah" moment. Lightning strikes at a South Country Equipment field day near Moose Jaw, SK. Guest speaker Elston Solberg sees a Field Connect running in a field for the first time and is blown away by the potential of the data and the misfortune that no one was using the data to drive in-field decisions. 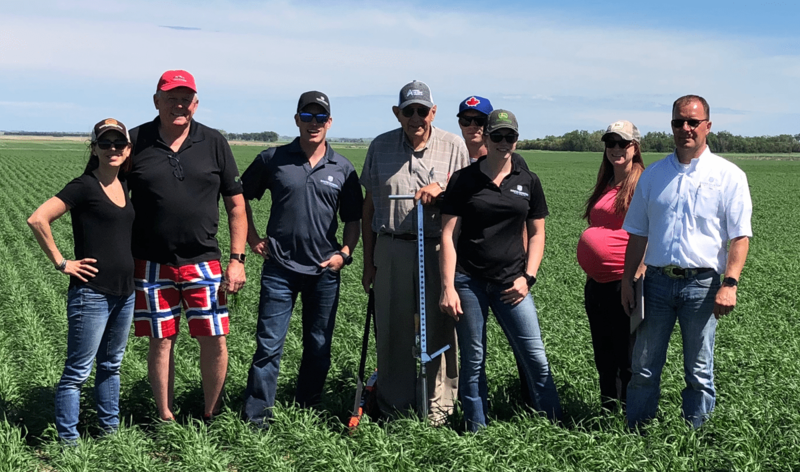 A meeting in January 2017 brought together three powerful forces; a trust in the technology and data, some Norwegian Math, and the common goal of putting the data to use in dryland farming. An algorthm was built. 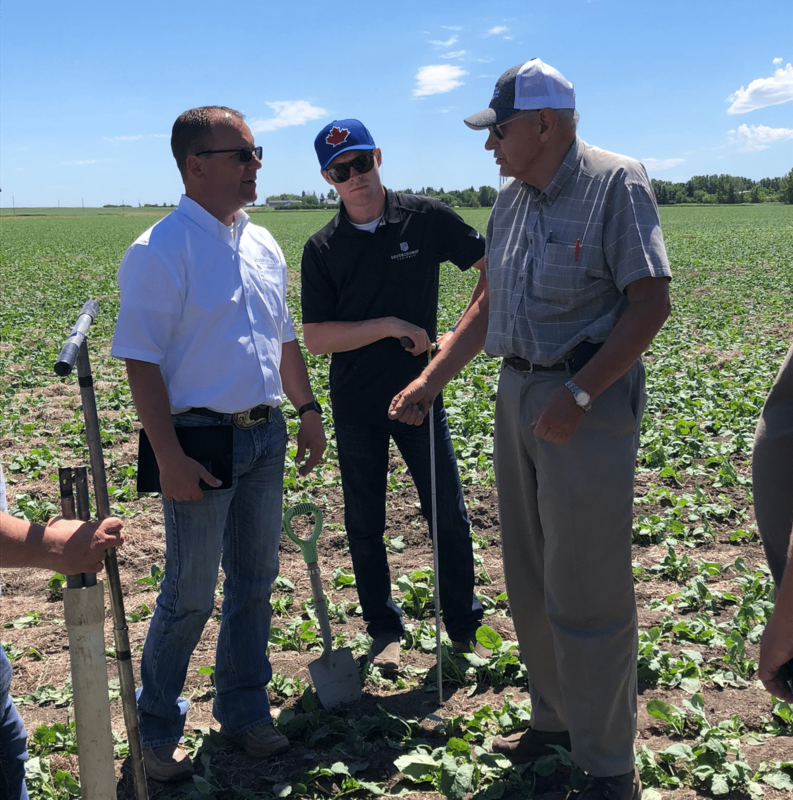 The first version of Crop Intelligence was rolled out to a select group of South Country Equipment customers. Crop Intelligence goes international, running in fields across Western Canada, as well as some sites in the United States, and Australia. Professor Les Henry and the Crop Intelligence Team verify traditional (low tech) soil moisture maps with (high tech) data from Crop Intelligence.